Those of us with less regal connections have to manage with a much broader, more detailed vocabulary. That’s not a bad deal if you really want to be rude. A wider choice of vocabulary can be really offensive as it is thought-through rather than a casual use of ‘rude’ words that have become nothing more than casual adjectives used by the literally inept. If you are a non-native-speaker, however, the safest route is to avoid the words you were taught in the pub, and even in emails and conversations, and stick to words you will find in a large, old-fashioned, school-level dictionary. Swearing in an academic thesis is just wrong – unless that is the subject of the thesis. At a social level, international academics have a really hard time of it working out what is acceptable and what is not. If in doubt, I’d stick to the school-level dictionary. Getting swearing wrong is easy. Talking in a way that does not embarrass people soley because of the vocabulary is easy – just pick a large school dictionary and add in any necessary subject vocabulary. Are eBooks just textbooks on your phone or tablet or pc? Well, many really are pdfs that have just been resized to suit your device but there’s a growing ‘library’ of ebooks that are starting to harness the potential of digital technology. Although I agree with Gaby Wood’s view of the current quality of ebooks, I’m not so sure I agree that publishers are lazy. Let’s just say they were slow to turn around traditional financial models and perhaps prudently so as the technologies were rapidly evolving. There is now something approaching stability in the market with ePub3 which is generating a lot of support as shown at a recent London conference hosted by Jouve. Learning designers now have e-D rather than 3D. Material can be presented in the medium (text, video, audio, Q+A, online, classroom…) that makes most sense for the topic and target audience. Students and learners in general do not read whole textbooks, they cherry pick the relevant bits and perhaps read more of the areas they have highlighted when/if they re-read. As for bibliographies: does anyone ever read all of those? Well, I guess proofreaders and PhD super-stars ‘may’ – but even then I’m not really convinced. And on a Smartphone, would anyone ever??? Making the material sing and leading learners to do, analyze and create through interaction is the new e-D learning. In short, textbooks are useful and, I think, will stay but eBooks are different. Learners and authors need to demand more. The ROLE project has today had its final official review but this is far from the end of ROLE. Personal learning environments and self-regulated learning for people at work, in education or at home are here to stay and the tools to let the user control their learning environment in a mobile, uncertain world are becoming not only more essential but ever more sophisticated. By adding free apps to one’s Google+ space or many other social websites, or to traditional learning management systems (Moodle, BlackBoard), people can share resources, comment on them, reflect on or track their own learning, save a group of widgets as one single widget to be installed on another machine … in short make, learning easier to organise, more social and more relevant. If interested, see the ROLE widget store. Yesterday I was at a workshop that was both useful and fun. The Royal Central School of Speech and Drama has some world-famous alumni but what may be less well-known is that they offer voice coaching and presentation workshops for business people. We acted out the quieter “What am I doing up here?” person and the irrepressible Tigger who bounces into every space, played with breathing techniques and voicing, did our best to stand in a ‘centred’ fashion. It was material often taught in MBAs but, frankly, I’ve never seen it taught by anyone who is a real master of the subject rather than someone adding it in to their course on OB or Business Comms and the difference was immense. See http://tinyurl.com/bxyve3b if you want to try this yourself. Did the results meet my expectations/requirements and why/why not. If you add into the equation that ‘resources’ includes fellow, often similarly lost, students, tutors, family and friends, then self-regulated learning becomes less like frazzled cooking and more like sociable exploration. I hope the friend has fun. This is only a quick post but really: has the hype around MOOCs or the re-invention of UUK actually changed the ground rules? Players in the MBA market like EBS have long understood that providing solid knowledge is useful to very many. (Any other institutions up for same claim?) Some may want a qualification. Many may just want not just knowledge but interaction with other similarly-minded people. What is ‘education’? Based in Barcelona, the teaching is in English. Classes are arranged in blocks to allow cheap flights home to continue with home life or perhaps an existing job. One can be really kind to chickens in huge well-monitored (intensively monitored) sheds and produce quality-assured eggs or meat or fertiliser with great efficiency. It’s also possible to have a few chicken and know them really well. There’s the hen that is determined to get itself into trouble through too much curiosity, the one that hates to get its feet wet in early morning dew-laden grass, the one that is utterly desperate for a dust-bath after being confined in a much-moved pen for a few days, the one that hasn’t a clue how to perch because it’s mum never taught it. Tending to the needs of each results in much better eggs – fact. The question in education of adults is how to make that individualisation work effectively and efficiently. For HE institutions, the question is a huge and expensive one. For individuals, the key is to look for places with an accredited track-record but also a history of strong market responsiveness in terms of how and when programmes are delivered. Core content knowledge may be added to but essentially varies very little. Application varies a lot. 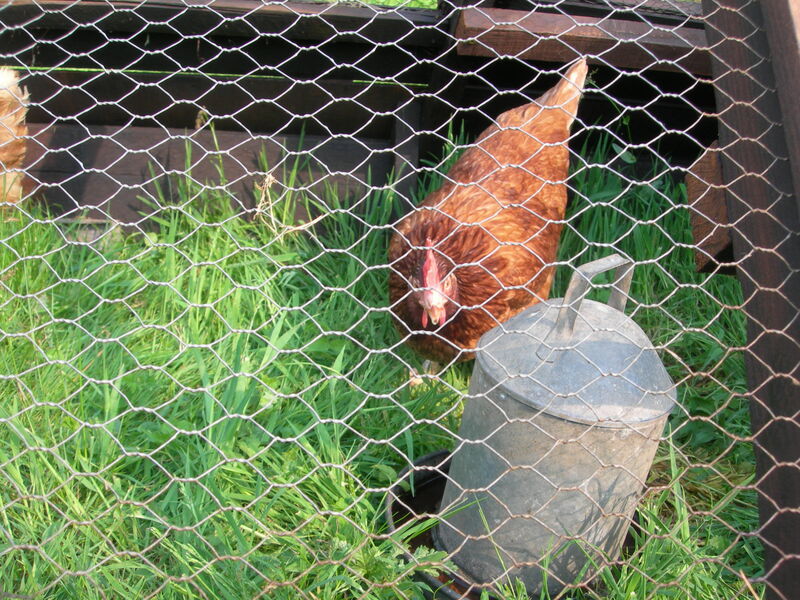 Readiness to apply almost takes us back to the hens and knowing what suits whom and when….